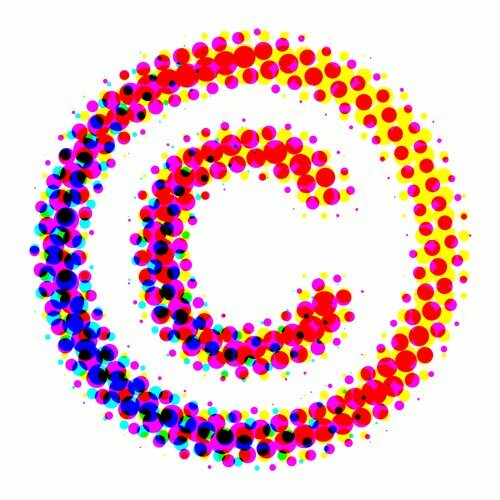 Copyright law is the exclusive right of a creator or author of an artistic or literary property (such as a movie, musical composition, or book) to copy, print, license, sell, distribute, translate, record, transform to a different medium, perform, give, or otherwise use (or even choose to not use) a work. As soon as the work is created and is tangible, like a taping or writing, the work automatically calls under federal copyright protection. Copyright law is applicable to literary, dramatic and musical works, maps, works of art, periodicals, art reproductions, technical drawings, photographs, prints sculptural works, architectural drawings, movies and other audio or visual works, compilations and derivative works, and computer programs. Things that are not subject to copyright law and would not require a copyright lawyer would include titles, short phrases, live unrecorded performances, extemporaneous speeches, government publications, common information, ideas, and obscene, seditious, fraudulent, and libelous work. Copyrights can last for a specific amount of time, which varies depending on the author. Owning a copyright of a work entitles the individual to several rights, such as the right to enjoy the rewards of using the profit from the work by either selling copies of the work or renting the right to use the work. Copyright laws also punish and prevent others from using another person’s work for self-benefit. Why Do You Need a Copyright Lawyer? Copyright law is a niche area of law that has many unique requirements and principles. Consequently, the service of copyright layers that specializes in copyright law is needed for many different situations, such as to file a copyright application, evaluate a copyright search or copyright a product. Essentially, copyright lawyers do not try to protect an idea, but rather, try to protect the expression of that idea. A copyright lawyer tries to protect the originality of the work as long as it has somehow been set in stone. If you are planning to register your personal work with the United States Copyright Office, a copyright attorney can help you through every part of the process, including preparing your copyright and submitting of all the necessary materials for a copyright. Copyright lawyers can also be helpful if you have been approached by a party who wishes to use your work with your permission. Copyright lawyers are experts and can evaluate and explain what options you have and what actions to take to make sure that your interests and rights are well protected. Copyright lawyers can do this by negotiating on your behalf as your legal representative, drafting any licensing agreements necessary, and more. Alternatively, if you are looking to determine whether you can use another person’s work, a copyright attorney can help through that process to ensure you do not violate the copyright owner's rights regarding to the material, which would result in copyright infringement. In the event that a lawsuit occurs, having representation by an experienced copyright attorney is very critical to securing your financial interests and legal rights, regardless of what side you are on. How to Choose the Best Copyright Lawyer? After deciding that you need copyright lawyers for your activities, you may still be unsure on exactly how to choose the best out of your local copyright lawyers for your particular case. To start, you should make sure to avoid picking a copyright attorney based on advertising or a lawyer referral service. Lawyer referral services usually do not closely evaluate the abilities of the lawyers that are found in their listings, and will often just accept any attorney who is willing to pay the necessary membership fees for that referral service. The referral service will then refers potential clients to these copyright lawyers on a rotating basis. When this happens, the lawyer may subjectively determine that he is or she a qualified copyright lawyer, but in reality he or she may have very little experience in copyright law. Relying on advertisements for copyright lawyers is also not a good method for finding qualified copyright lawyers for your case. Many copyright lawyers who advertise extensively may run their law firms like factories, and may not provide personal service for your case. Instead, these copyright lawyers may use their large staff of paralegals to prepare your copyright application or handle the fine details of your case. Instead of using these techniques to find suitable copyright lawyers, you can try to find one who gives you individual attention to every aspect of your copyright case. When you look for copyright lawyers, you should search for one that is well-educated and has extensive experience in copyright law and providing copyright law assistance. You may wish to look for a copyright lawyer who graduated from law school that is recognized for a renowned intellectual property program. Many copyright lawyers, especially those with a large staff of paralegals preparing copyright cases, may neglect to answer a client's questions personally. You should try to find a copyright lawyer that is genuinely concerned about your case and copyright issues. This kind of copyright lawyer will work to ensure that your copyright issues are handled appropriately. You can ask if your copyright application and correspondence to the United States Copyright Office will also be prepared by the copyright attorney or by one of his or her staff members. The amount a copyright lawyer charges you for his or her legal services can include the copyright lawyer's fees plus any additional expenses and costs. You may be charged additionally for other things such as paralegal time, photocopying, postage and telephone charges, experts, travel expenses, computer costs, research costs, and more. Make sure you carefully discuss all the details about the lawyer’s costs.